The Plumbers You Can Trust! 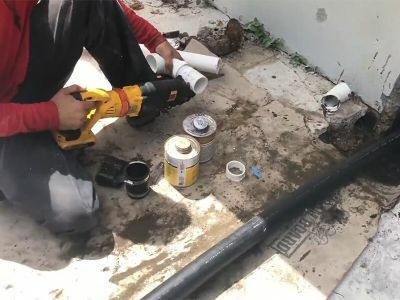 The Plumber's Plumber are your go-to professionals for pipe inspection, cleaning, repair, replacement services as well as emergency service whenever you need them. Contact us to speak to our knowledgeable associates and schedule an appointment with one of our industry professionals today. 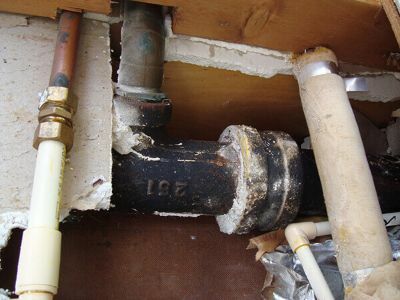 At The Plumber's Plumber, we use trenchless pipe bursting to effectively replace your damaged pipes. Trenchless pipe bursting is a seamless process that we can conduct on residential or commercial pipe systems made of various pipe materials. The pull-in-place technology is backed by high-quality equipment that is always safe for the environment. Our company began providing quality sewer and drain services to residential and commercial property owners in 1980. Since our start over 30 years ago, we have become industry experts who specialize in drain cleaning and plumbing repairs. As a father and son team, we take pride in the legacy of our company and how we present ourselves as a business. Our reputation has been built on integrity, respect, and collaboration allowing us to provide the best services possible to all of our customers. Being a family owned business, we work tirelessly to make sure our work reflects who we are as trusted and knowledgeable professionals. Although a large amount of our business is with homeowners, we have had great success in working with other plumbers. What sets us apart from other companies is our openness to working with our competitors to make sure residents in southwest Florida are receiving optimal service. Due to our fast and reliable work, professionals in our area refer customer to our team especially for larger and more complex jobs. We believe in collaborative work that serves our clients and peers in the most beneficial way possible. 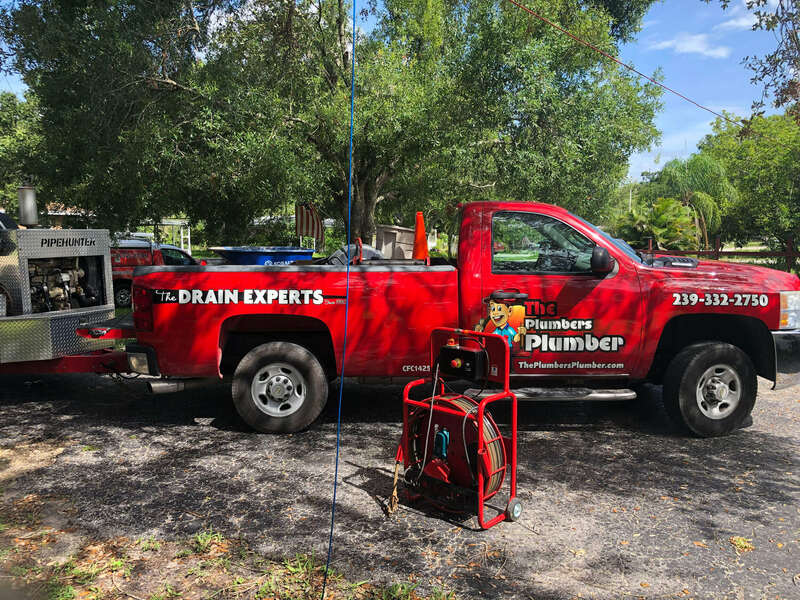 That is the reason that in 2009, we changed the name of our company to The Plumber's Plumber, Inc.
Our industry professionals provide all customers with a wide range of sewer and drain services they can count on throughout the year. We understand that accidents happen which is why we offer 24/7 emergency services to all customers. Pipe inspection is one of our most reliable services that is conducted before we provide you with any service. Whether your pipes need to be routinely cleaned or prepped for repair, our drain cleaning services are highly effective. 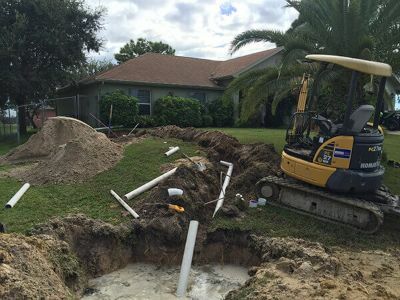 Our excavation services that thoroughly examine and restore your pipes through dig-and-replace methods. Quickly clear your sewer and drain pipes with high-pressure clean water that leaves them in pristine condition. As an essential part of sewer systems, let our industry professionals rehabilitate the manholes in your area. Replacing pipes is made easy with bursting technology that combines pipe replacement and installation services. 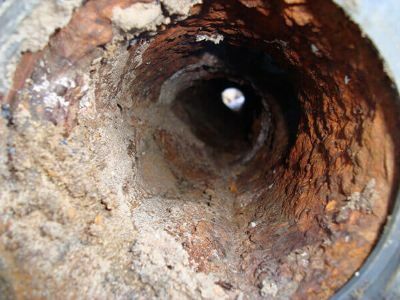 Pipes can be restored to their former function with lining technology that creates a new pipe within your existing one. Finding leaks within your pipe system is made easy by our industry professionals through smoke/odor detection. Our team can solve a variety of sewer overflow issues your residential or commercial property may be experiencing. 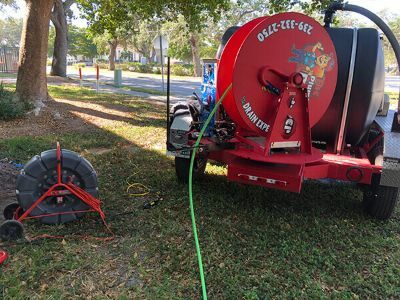 Repair your drain system with noninvasive trenchless technology that does not require digging across your property. Leaks in your water main cause costly damage and expenses, let our team solve them with accuracy and precision. 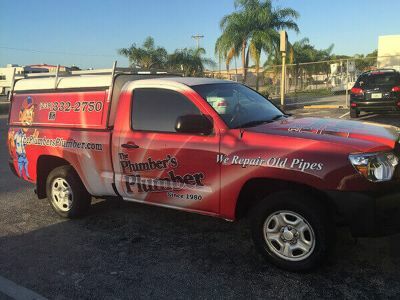 At The Plumber's Plumber, we believe it is important to be active and productive members of the communities we service including Fort Myers, Cape Coral, Estero, Lehigh Acres, and Bonita Springs.. 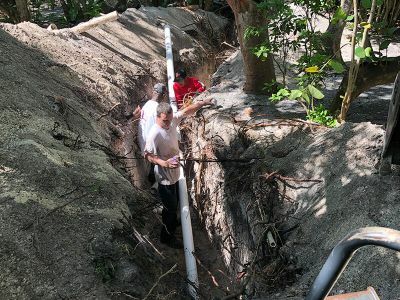 When you are experiencing sewer and drain problems, it can often be stressful and seeing our professionals out in the community builds a strong rapport that makes the process much more enjoyable. We are committed members of the community and sponsor 4H clubs, various associations, local high school sports, and other youth organizations throughout our area. As a family-operated business, you can be assured we will provide you with top-quality service that is in line with our values. Our team is backed up an Angie's List A+ rating that demonstrates our commitment to our customers and shows how they view us as a business in turn. Angie's List ratings come straight from the customer, which means our work is beyond satisfactory as well as worth talking about. 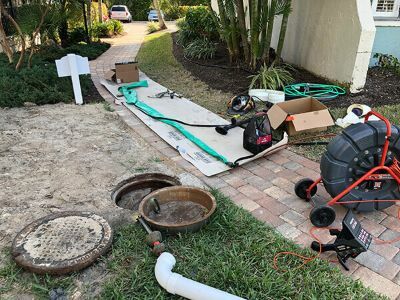 When seeking a pipe professional to take care of your residential or commercial sewer and drain needs, you need to be confident the company is credible and demonstrates professionalism towards their customers. 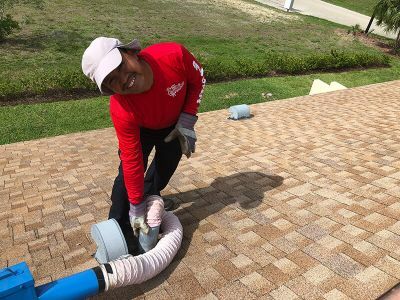 We feel passionately about providing residential and commercial customers with affordable, versatile, eco-friendly, and durable services that they can count on throughout the year. Our team offers pipe inspection, leak detection, drain cleaning, sewer repair, and sewer replacement services that meet a variety of needs. No matter the size of the job, we always arrive at your property ready to solve your pipe problems with accuracy and precision. Whether you need a routine inspection and cleaning or replacement for several pipes within your system, you will receive high-quality that lasts. Accidents with your sewer and drain services are often out of your control, which is why we are always available to our customers. We provide 24/7 services that demonstrate our commitment to taking care of your pipe problems no matter time of day it is. 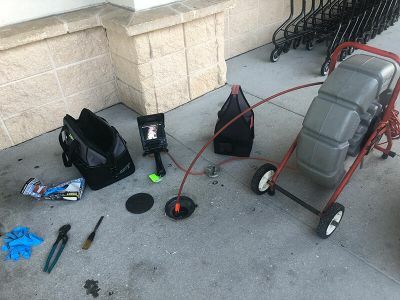 When you are experiencing a plumbing emergency, you should not have to wait to call a professional or be left to take care of the problem on your own. Emergency services allow our team to arrive at your property right when the problem is occurring and solve it in a timely manner. Do not hesitate to give us a call when you need us most. As a full-service plumbing company, we make sure to serve various areas southwest Florida with efficiency. 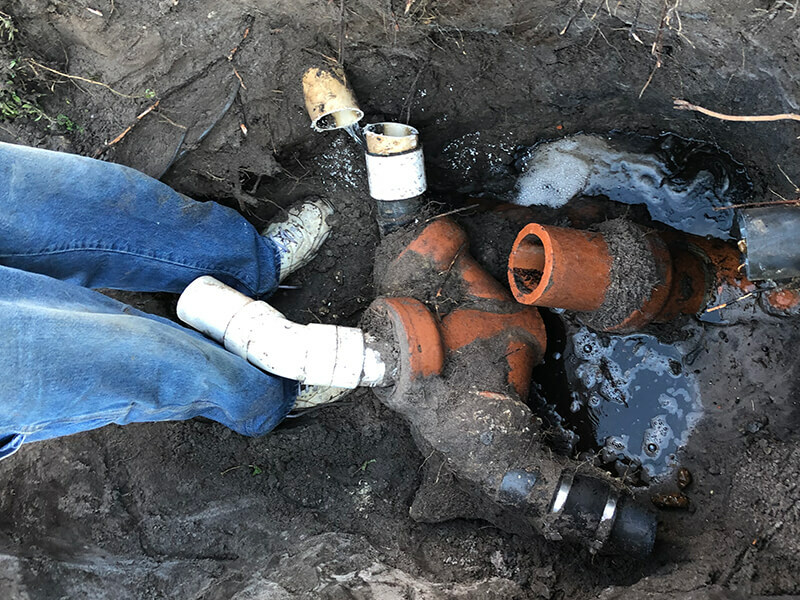 Our region is home to beautiful natural landscape as well as attractions that make it one of the best areas in Florida, and our multi-generation family plumbing company knows the ins and outs of how our climate and ground conditions impact your pipes. We work to make sure that our work keeps the environment intact while properly solving your sewer and drain problems. Our service areas include: Fort Myers, Cape Coral, Estero, Lehigh Acres, Bonita Springs, and beyond. Your home works constantly to provide you, your family, and even your pets with sewer and drain services. Residential pipes allow you to take a shower, wash the dishes, water the lawn, and more. We service residential properties such as modular homes, manufactured homes, mobile home parks, apartments, second homes, and townhomes. Our team at The Plumber's Plumber will always take care of your residential property as if it is our own home. Commercial sewer and drain systems serve large amounts of people on a daily basis which can make them more susceptible to plumbing problems. Our team works with various types of commercial properties including restaurants, industrial facilities, indoor and outdoor shopping malls, large home buildings like apartments and condos, utility companies, plumbers, hotels, resorts, and sports facilities. We will do our best to make sure there is no loss of business due to troublesome pipe problems. At The Plumber's Plumber, we want to work with you to meet your expectations and pipe needs. Your sewer and drain system should be properly maintained throughout the year and properly serviced when it is experiencing problems. Our team is equipped with state-of-the-art equipment that allow us to conduct precise services. Our reputation is backed up years of experience and customer centered approach that demonstrates our careful attention to detail. You can trust that your home or business is safe with us. We are proud of our legacy at The Plumber's Plumber, Inc. and are eager to work with you today. "Thank you for finding the issue and taking care of me for I have dealt with this issue now for weeks. Screwdriver in pipe! The people who came to fix my issue did not give up on me and did not leave a mess. If anyone has a problem in the park I will for sure let them know about your company and how great you were in fixing a major issue that was unknown to me!"